Why Does Over-Fertilization Kill Plants? Fertilizer, any product that adds nutrients to plants, may sound like an ideal addition to your collection of gardening products. But more often than not it is unnecessary and sometimes detrimental. Over-fertilization is a common -- and sometimes fatal -- mistake; too much of a good thing can become a bad thing. Among the most common issues with over-fertilization is fertilizer burn. Fertilizer often works by supplying nutrients to the plant in the form of soluble salts. Although salts dissolve easily in water, too much salt cannot dissolve. Instead, the water evaporates and the salts stay in the soil, causing a major disruption in the makeup of the soil. Salts can burn the tender, young roots -- and sometimes stronger, mature roots -- of landscape trees, shrubs, perennials and vegetables. When the salts burn the roots off, the plant is unable to absorb water and other nutrients from the soil. 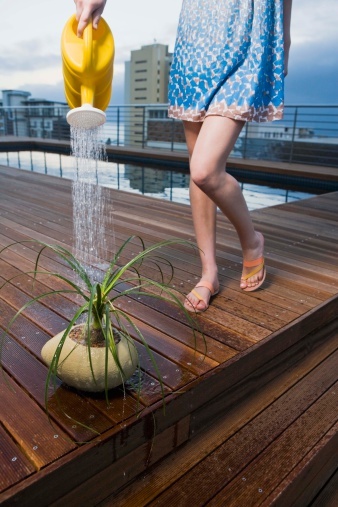 The lack of water often results in scorched-looking leaves, stunted growth and plant dieback. Fertilizer burn is more severe in drought-like conditions. Too many salts can alter the pH of the soil, making nutrients unavailable to plants. Iron chlorosis and other issues may result from altered soil pH. Boosting growth may sound good at first, and sometimes it is; however, a big boost in growth can also kill your plant. This is particularly the case with too much nitrogen. The nitrogen gives a strong boost toward plant growth, allowing your plant to grow longer stems and leaves. Unfortunately, the young, tender and underdeveloped root system cannot support the flush of new growth caused by the fertilizer. This poor root structure will stunt the development of flowers and fruits. 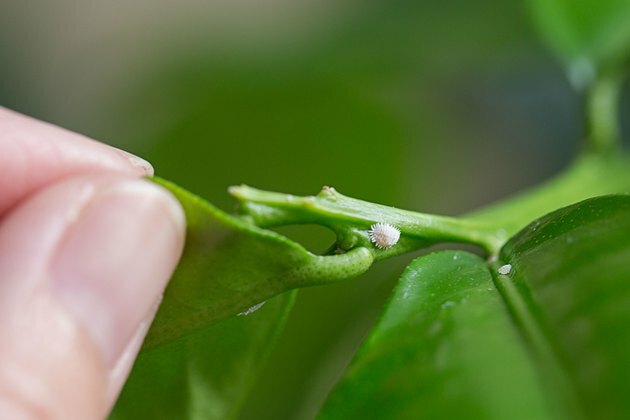 Unsupported growth isn't the only plant killer resulting from a surge in growth; many insect and arthropod pests -- and sometimes mammalian pests -- prefer the tender, young growth of leaves, buds and stems as opposed to more mature parts of a plant. 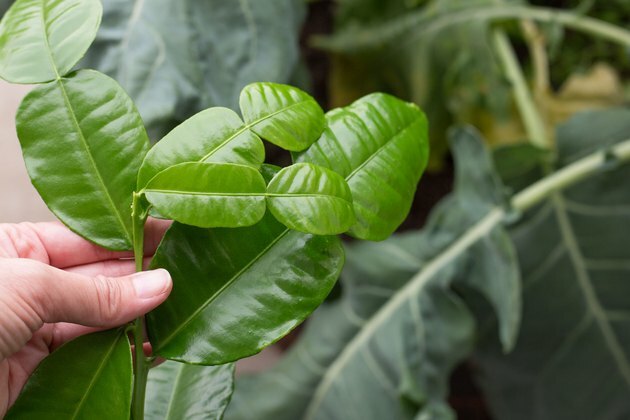 When your plant starts shooting off tender stems and leaf buds, more insects become attracted to the plant and start feeding more voraciously. Aphids and mites are among those that prefer to feed on the lush, tender growth of over-fertilized plants. Before applying fertilizer, throw away the notion that plants need it to survive. 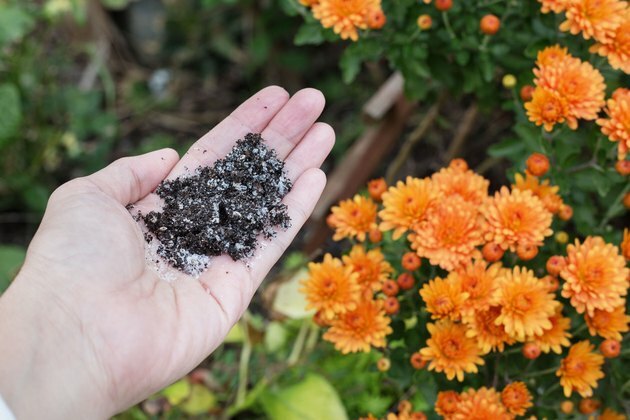 Fertilizer is designed to supply plants with nutrients that are lacking in your soil. Most plants don't require any fertilizers at all if they are rooted in healthy soil. Before applying fertilizer, acquire a soil-testing kit from a reputable nursery or online diagnostics lab and perform a soil test. 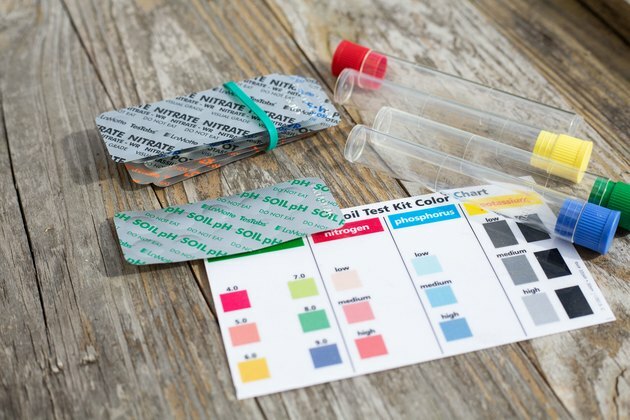 These tests are designed to tell you your soil pH and the amounts of nutrients in the soil. Only apply fertilizer if your soil test proves your soil is lacking. Over-fertilization can wreak havoc on your natural ecosystem, especially overuse of nitrogen and phosphorous.